Although we’ve come a long way in destroying the line between ‘a man’s job’ and ‘a woman’s job’, there are still some fields which are typically male dominated, particularly in more ‘hands-on’ roles. Jobs such as plumbers, builders and electricians are often associated with men. Admittedly, there are many more men working in these fields than women, but that doesn’t mean women don’t, or can’t, do the job. 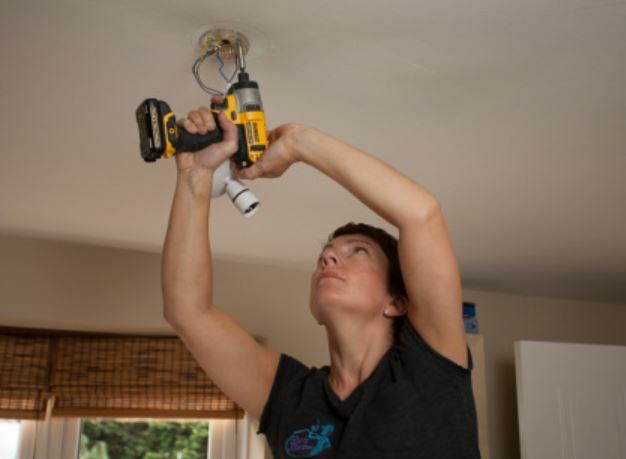 According to data from The Boston Globe showing the percentage of men and women in each profession, in 2016 the split of electricians was 97 per cent male, 3 per cent female. 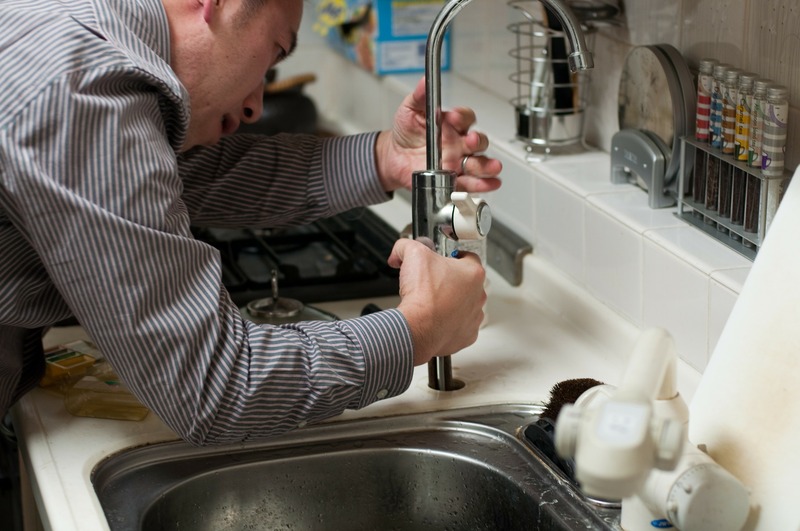 Female plumbers were even more lacking, making up just 1.4 per cent compared to 98.6 per cent men. Hopefully there has been at least some positive shift in the amount of women working in these fields in the last couple of years, but still the huge division leads many people to recognise these kinds of careers as ‘a man’s job’. The link might come from the dated term ‘handyman’, which, although defined in the OED as ‘a person employed to do general decorating or domestic repairs’, still centres around the word ‘man’. Alternatively, it could be because they’re jobs which are thought to involve ‘getting your hands dirty’, and some people believe only men are happy to deal with that. Whatever the reason, the stigma still stands. With all the equalities women are demanding, we need more women joining the military, law enforcement, fire departments, construction. Where are the female electricians, plumbers? Where are the female sanitation & sewer workers? Or do women not want equality in the dirty jobs? Well, here they are. UNILAD spoke to female tradespeople about what it’s like to work in a field that’s typically male dominated. Interestingly, many of those I spoke to banded together to work in association with other women. This might have happened naturally, through seeking a female role model to work with, but there is definitely a sense of solidarity between women in these fields. I came across one female-only plumbing company named Stopcocks, founded by Hattie Hasan in 1990. Though a stopcock is a valve – and therefore definitely a plumbing-related term – the name makes it clear women are running the show. Hattie told UNILAD how she founded the brand after facing rejection from other jobs, with some employers being unable to believe she was getting in touch for her own sake. The first discrimination I faced was when I tried to get a job in 1990, while I was training. I wrote to about 500 companies and I didn’t get a single reply. I’m a bit thick-skinned, so I didn’t think it was because I was female. I’d follow up with a phone call, and I’d get responses like ‘are you ringing up for your husband? Are you ringing up for your son? Are you ringing up for your partner?’ They didn’t think I was ringing for myself. The plumber was never offered a job, and so decided to go her own way with Stopcocks. Once she began working, Hattie realised there was a demand for her work, but people just didn’t know the company existed. One of the biggest challenges I faced when I decided to go national was to educate the public that we exist. There’s still customers saying I’ve never heard of a women plumber before. I’ve lived in three or four places around the country, and I’ve discovered that as soon as [clients] knew I was there, they wanted my services. 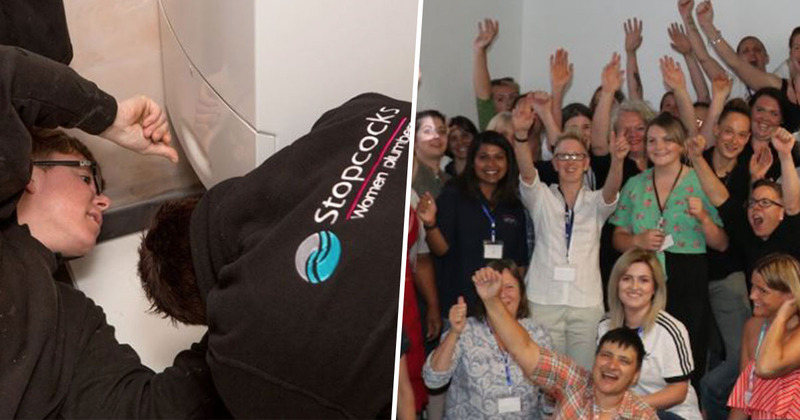 Stopcocks has since expanded, with many female plumbers working under the brand name, and Hattie spoke about how there’s no real explanation for why the gender divide in the trade is so big. There’s no reason for it to be [a male-dominated field], except it always has been. The number of times I’ve managed to squeeze myself under a bath or under a sink or around corners, with small hands getting into boilers. A lot of plumbers are big burly blokes; you see them trying to fit in to places and they just can’t. The lack of awareness about female tradespeople in these fields goes hand in hand with the lack of support for women trying to get into them; an issue made clear when UNILAD spoke to 28-year-old Carrie Rivers, who’s currently training to be an electrician and is setting up her own business Carrie’s Electrics. 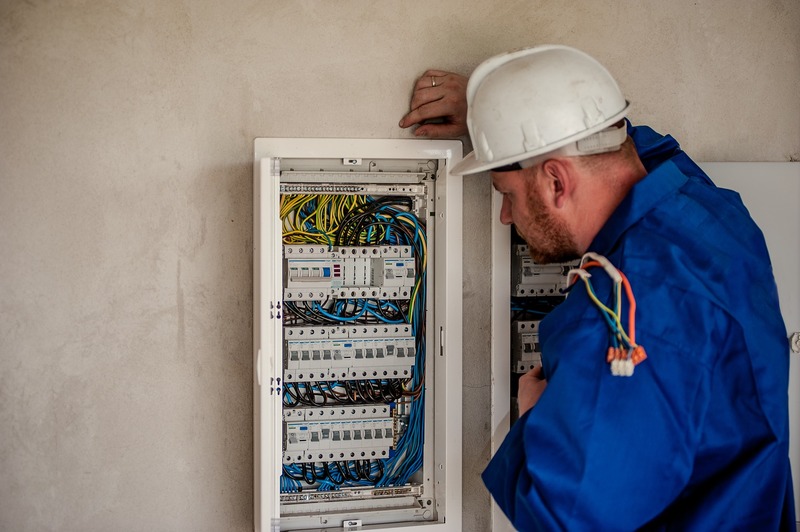 I’ve always enjoyed being practical and have helped my dad around the house when installing lighting, so when I was looking for a job as my own boss, electrician seemed to be the most likely job that suited me and my skills at that time. Carrie admitted that while she’d found her way into the field, it wasn’t a career path she’d ever really been encouraged towards. From a young age we are taught that if you are good at passing exams you go to uni, if you can’t pass exams to the examination board standards then you should go for more practical jobs. Boys are pushed toward building trades and girls are pushed towards hairdressing apprenticeships and children and animal care. I’m not saying that this happens in every school, but as a kid because I could pass most exams I was pushed towards going to university, and I honestly believed that my career path lay in academia. A great way to start shifting this imbalance would be to teach children, from a young age, that trade jobs are for everyone. Just because you can pass an exam doesn’t mean you’re destined for for an academic job. Being self-employed takes just as much brains as being a research scientist does, it’s just a different field. My parents told me I wasn’t physically strong enough to do such jobs. These days, we have lighter and smaller boilers, copper pipe that is more flexible, and some brilliant power tools that have opened up jobs that any reasonably fit woman could do. More often than not, things that I struggle physically with are also very difficult for a man to do. So we use our brains to find a solution. But young girls and their parents underestimate what women can achieve. There are so few role models out there, and the risk that sexist employers will overlook them for apprenticeships and jobs. UNILAD also spoke to Karen Boom, an electrician from Essex who’s been working in the field for nine years. Karen runs a company called She’s Electric, and she also believes painting a picture of equality for young people would be a way to influence more women to get into hands-on fields. There are several reasons [why these fields are male dominated], but I believe the biggest one to be all about lack of “Role Models”. Look at Bob the Builder. He had Wendy who just generally played second fiddle to Bob. How about a TV show called Sarah the Sparky? Maybe if girls grew up thinking that it was cool to be in a trade, things would change. Karen explained her work gives her a great sense of satisfaction, but admitted there have been instances where her gender has prevented her from getting jobs. There have been two jobs I quoted for and know that I didn’t get the work because the clients felt that I wouldn’t be able to cope with the amount of “manual labour”, in their opinion. 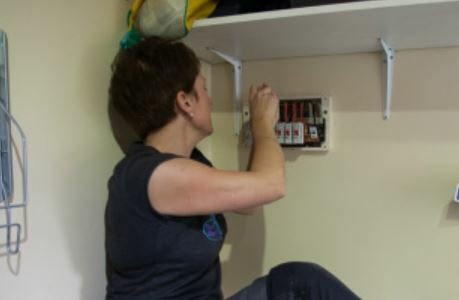 Obviously Karen is able to do all the work she takes on – otherwise she wouldn’t be doing a very good job as an electrician – but this issue of presumption is one of the things that could prohibit the amount of women working in these trades. If no one believes you can do the work, there’ll be less demand for it, and therefore it would be harder for women wanting to fill these roles to find work. But the fact of the matter is, there are many women who prove every day that they make good plumbers, electricians, and builders. We need to disassociate jobs with gender, and get rid of the stigma surrounding certain careers which suggest they’re only suitable for men or women. There’s no reason women shouldn’t be getting in to these fields, and in fact they come with a lot of benefits. 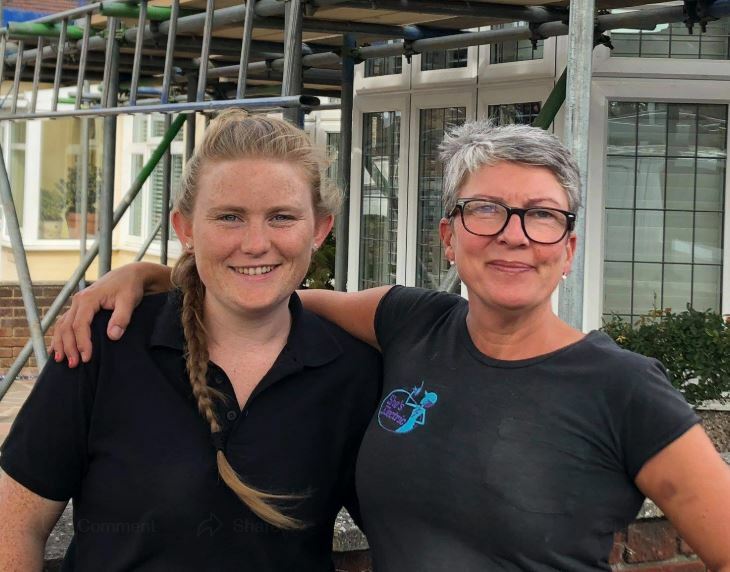 Plumber Sovay Berriman described the job to UNILAD as fun, satisfying and empowering, while Carrie said she loves the ‘flexibility and the diversity’ of being an electrician. While there’s still a long way to go before the male-female split in the field disappears altogether, it’s good to start a conversation about women working in these trades, and make it known they’re out there.